Humor on the high seas! 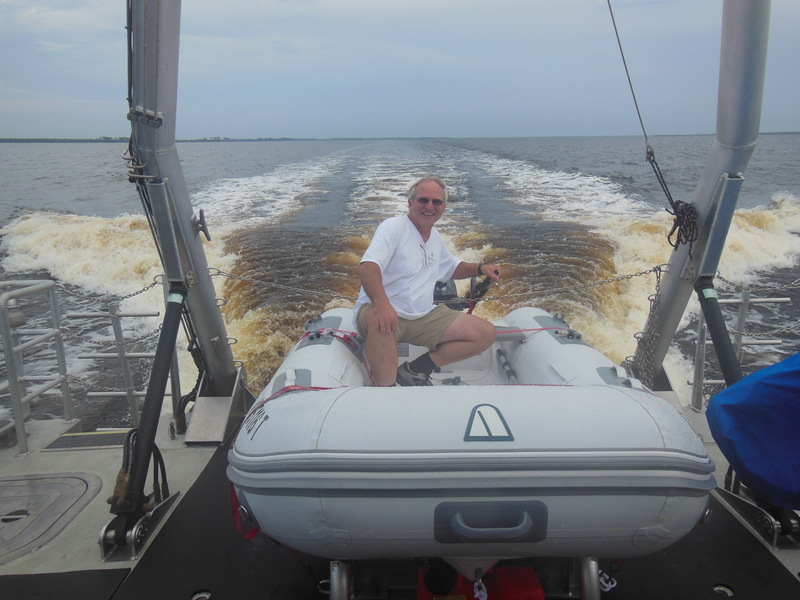 I (Pat) was traveling to get to the R/V David Folger; thus, this blog is a day late.The Folger finally left Harbourgate Marina, SC and the seas were calm, so the Folger made good time and arrived at Beaufort Marina in Beaufort, NC around 5:30 pm. I traveled with Laura Lee and Simon Manley-Meek to Beaufort to drop off supplies, meet up with the guys, and tour the Folger. This is the first time I have gotten on board the Folger, and I was really amazed at this vessel. Since I had only seen it at various stages of being built, it was great to finally get on board. Though there are still things to be done on it, I can’t wait to see it in Lake Champlain and teach my Marine Geology and First Year Seminar on it. Come back later to the blog after I get back to Vermont (on Sunday), when I can upload pictures. This entry was posted in The journey home and tagged David Folger, Pat Manley, research vessel by Patricia Manley. Bookmark the permalink. My son and I took a tour of the Folger when in was in Beaufort – A beautiful vessel. She has been amazing to teach on and really an asset to the college.